This agri-tech meetup by Quintevation is for anyone interested in innovation and technology in agriculture. 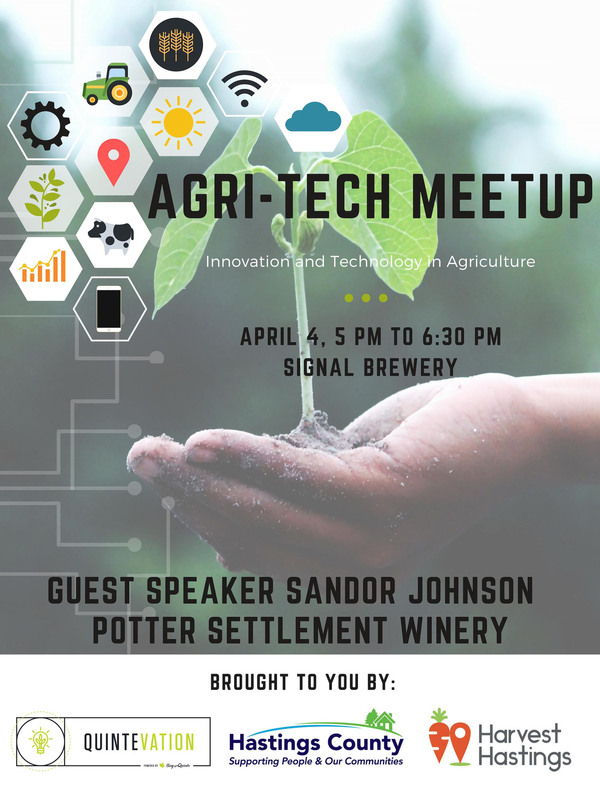 Enjoy an opportunity to mingle with like minded people in the agri-tech industry and hear a unique presentation from Sandor Johnson, owner of Potter Settlement Winery, as he discusses the challenges and opportunities of agriculture in Hastings County. This is a joint event, brought to you by Hastings County, QuinteVation and Harvest Hastings.